Please follow me at Miss Barb on Facebook ..........for now. It’s been a cold winter and we all are doing everything to keep warm from warm winter coats, gloves and hats to sitting by the crackling fire if you are lucky enough to have a fireplace or wood stove or just plugging in a new space heater. Soup, the ultimate hot comfort food, is a must have meal. It starts from the cooking and simmering where fragrant, healthy ingredients fill the air with warm wonderful smells. 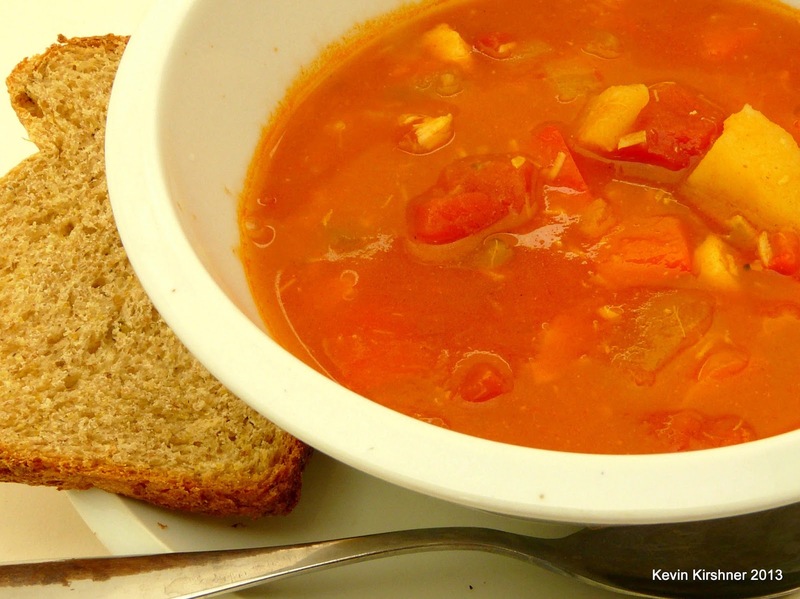 This tomato based fish soup is easy to make, filled with fiber rich vegetables and protein from the fish. Warm filling and delicious, this soup when paired with some crusty whole grain bread is a warming satisfying balanced meal. Soup warms you from the inside out so when you go out in the cold again you feel warmer. Vegetarians can substitute beans for the fish . So be sure to make enough for an easy warm quick heat up meal for later in the week. Soups help you brave the cold . Soups warm you from the inside out. So I present to you the Apple Power Snack. Kind of looks like a doughnut don’t you think? Remove the Apple core using an apple corer. Next slice the Apple in ½ horizontally leaving the small hole from the missing core in the middle. Smear on peanut butter; dip into granola.. This grab and go easy to eat and easy to make breakfast, with a glass of nice fresh juice, or why not a fancy coffee. 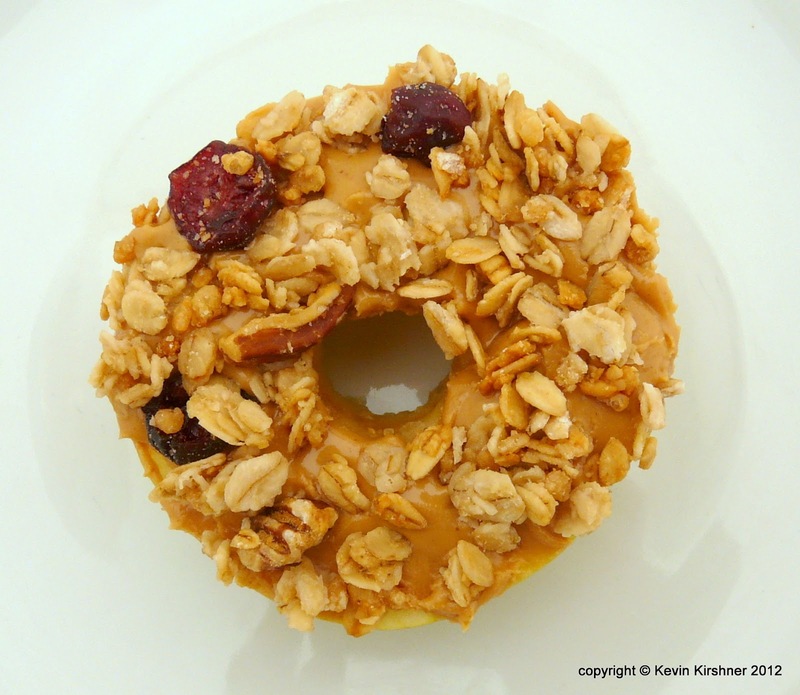 As a snack, which do you think will keep you satisfied until your next meal? or take longer to eat and enjoy? The Apple Power Snack combines, fruit , fiber and protein. It delivers great taste and energy in a fun presentation. It’s so easy to make - have the kids make their own and one for you too! As school vacation draws to a close - for some it already has - here in the Northeast next week marks the beginning of another school year. In my travels from school to school teaching children of all ages about food, healthy eating habits, and how to cook simple foods I talk to lots of parents and teachers. I look at this feature about buying a new lunchbox at Pottery Barn, and think of all the families struggling today. If you're in the category of shopping for a new lunch box for your child maybe you should also give some thought to another less fortunate child in need of last years lunch box - even to donate it to the Salvation Army or Goodwill. For everyone though I have some interesting ideas to get you thinking about school lunches. The Bento Box has become increasingly popular offering children a great selection of their favorites fresh foods. The following recipes I developed for Doggity, which can be viewed weekly on PBS/Sprout Network, or On-Demand is your local TV System does not carry PBS/Sprout. Cut baby carrots in half lengthwise. Remove seeds from red pepper and cut in thin, short strips about 1-1 1/2 inches in length. Fill medium/large pot 2/3 full of water, bring to a boil. Fill large bowl 2/3 full with ice water, set aside. Place vegetables into pot of boiling water. Allow for water to return to boiling and boil for 3 minutes. With slotted spoon or strainer remove vegetables from boiling water and put into ice water to cool. In small bowl combine all ingredients. Mix with wire whisk until well blended. makes 1/2 cup ranch dip. Kosher salt, garlic powder,or other seasonings of your choice. Using Scissors cut each pita bread in half. Pull apart each half into 2 pieces. Lightly brush or spray the rough side of each half with oil or cooking spray. Lightly sprinkle with salt and other seasonings. Using scissors, cut each half into 6 -8 wedges. Arrange in a single layer on large baking sheet. Bake for 5-7 minutes or until browned. 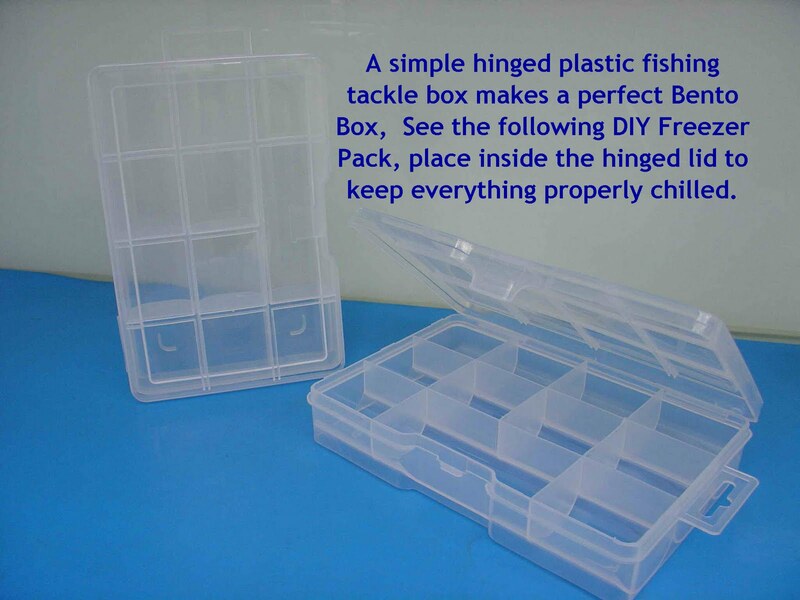 Like the idea of a Bento Box Lunch or Snack for yourself and your children it's really easy - all you need is a plastic container with individual compartments and a lid. Look and around and get creative. 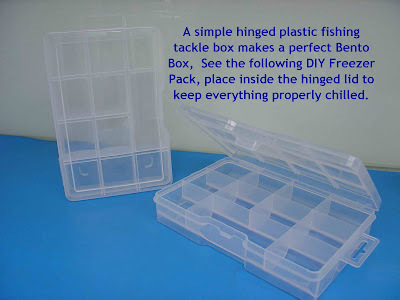 You can find ideal containers in unusual places like your Sporting Goods Store, or Local Hardware Supply Shop. While most of us grownups have probably survived a lunch in a brown bag in a backpack, or a desk drawer without refrigeration it's really not a wise thing to do. Children can be extremely susceptible and run a serious risk of severe illness from food stored improperly in the Food Temp Danger Zone 40-140 degrees Fahrenheit. 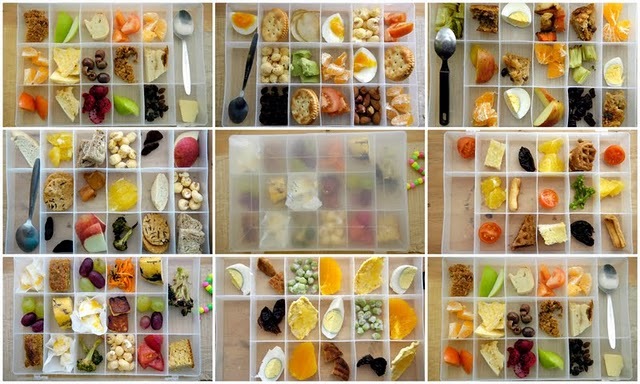 Here's a neat idea to make with your children, and if for some reason they discard the freezer pack at lunch time - just make another. 1. Open Bag: Although this sounds like a silly first step, it's an important one. Even though it's not rocket science to squirt soap into a bag, any residual soap could end up on your lunch, so we take an extra second to roll back the lip of the bag to eliminate any chance of contact later on. 3. Different Colors: These days you can buy Dishwash Soap in almost every color - so why not a freezer pack in your favorite color? Just today I came across an article that caught my eye and since it dealt with children and children's health and nutrition I stopped. So of course I had to read this to get the scoop and see if it was worth passing on to you all. The article goes on to speak about the virtues of milk and how milk has sodium to replace what is lost by sweating, that milk contains protein and other nutrients. At the very bottom of the article it posted: The study is funded by Dairy Farmers of Canada. The lesson I'm trying to share with you is not that Milk is not good for 8-10 year old children to help re-hydrating - just that based on this article and who funded it we should all seek further opinions before running out to a hot ball field in the middle of summer and forcing a glass of milk on your child's soccer team. How does it all work?? Skipping Breakfast will put the pounds on. Our bodies are like these very efficient computers. Most of us are familiar with the term “Energy Star” which is an early green technology implemented in all types of smart electronic devices that reduces power to conserve energy. In essence the computer processor shuts down non-essential activities thereby allowing basic functions to be maintained and monitored. Biologically our body has it’s own unique “Energy Star System” – skip breakfast and your body goes into a reduce energy cycle. So, which human functions would you choose to reduce? – unfortunately when a person skips breakfast they give up those rights, and the bodies “Energy Star System” kicks in and overrides even our conscious commands. We feel sluggish, and fuzzy, rather than sharp and alert. In this state running for the school bus or commuter train, forces your body to deplete stored nutrients and throws your Blood Glucose Levels into the danger zone – and depending on one’s present health condition in these emergencies the bodies reaction can be scary. Your body has a name for it’s “Energy Star System” it is called Metabolism. Another explanation for Metabolism is -- the rate at which your body burns calories. There is no easy way to cover the plethora of information and the dynamic correlations of Weight Management and your Metabolism – the internet is a great wealth of information -- if you have school age children sit with them and read it together. Breakfast is essential to fuel the start of another day – research shows that those who eat breakfast lose more weight than those who skip it. Your metabolism slows down while you sleep and it doesn’t speed back up until you eat again. If you don’t eat until lunchtime?? – your body won’t burn as many calories as it could during the morning period. Your body's BMR is dynamically affected by several factors. The higher the BMR the better, and sedentary lifestyles have lower BMR's which makes it more difficult to keep weight off. There are 2 biochemical processes working independently in the body called Anabolism and Catabolism. The results of these 2 processes is what we call the Metabolism. In the simplest terms Anabolism is the buildup of molecules into energy, while Catabolism is the breakdown of those "energy molecules." A simplified example of how this works is imagine a storage bucket. Everything we eat gets evaluated in the Anabolic process -- molecules that can create energy get incorporated into larger mass and stored in this "Energy Bucket", the size of which is determined by your BMR. The Catabolic process breaks down the stored energy from the "Energy Bucket" as the body creates demand -- the more active a person is the greater the demand. If due to a combination of factors the demand for Energy throughtout the day is insufficient to empty the "Energy Bucket" and more calories are consumed the body converts the molecules in the "Energy Bucket" into fat in order to make more room in the "Bucket." Body Fat is how the body stores Energy for "Long-Term Storage." And when caloric intake is insufficient to meet the body's demand for energy it begins to consume that stored fat/energy, thereby potentially initiating weight-loss or reduction in body mass. Lastly when everything is in balance the body's weight remains unchanged. From this can you begin to understand why a person might feel sluggish with no energy?? If you guessed poor diet offering too little sustainable energy you are correct -- this condition is almost entirely diet related. A good friend likes to use an expression “My Body is My Temple” – that seems to work for him. Why not make Your Metabolism Your Friend? It’s a good place to start. If we refer back to the Anabolic and Catabolic processes – the body needs good quality and correct amounts of specific food types for these processes to work efficiently. Simple Carbohydrates in the form of refined sugars (white sugar, high fructose corn syrups) enriched flours, other forms of processed grains work against the body. Processed foods have many of the vital nutrients essential to sustain our daily needs stripped away in manufacturing, and in the long-term produce the results – Obesity and Insulin Resistance (leading to Diabetes). Many breakfast cereals targeting children -- that are frosted, artificially flavored and artificially colored offer little opportunity for "sustainable energy." Breakfast Foods that offer a good choice of Whole Grains, Quality Lean Proteins, and Healthy Fats is the best way to start the day. Feeling good is contagious and unconsciously your body and mind will begin to attract more right choices throughout the day. calorie count, and so the body doesn’t convert these to energy. Unfortunately starting your day with poor choices and your body will push you towards further, like choices throughout the whole day -- pushing you further into low energy, irritability, depression, lack of focus and worse. Ever feel thirsty and just can't quench that thirst? ah-ha! same thing keep feeding the body sugar and processed foods. Likewise here is the list of good practices to support a “healthy” weight management system. • Eat a balanced good quality lean diet, balanced between protein, carbohydrates and healthy fats. • Exercise 3-4 times/week (every other day) a combination of cardio fitness exercises like walking/running/swimming, and weight resistance approximately 40 minutes in duration. 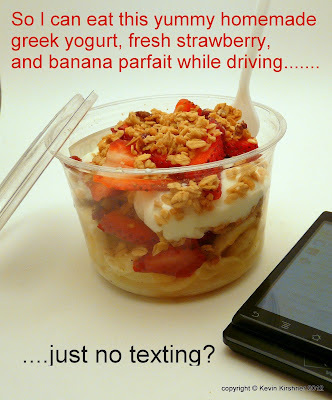 If you love any kind of yogurt, and especially Greek style yogurt, then this is going to be a treat from the heavens. If you have some spare time this week-end, invite some friends over and make yogurt together. You'll be dealing with fresh dairy, which contains live acidophilus cultures from yogurt, and you'll need to follow some simple but essential procedures – so it's a bit of a throwback to middle school chem class. Right up front I want to assure you that making yogurt is virtually foolproof – even for those lacking confidence in the kitchen. Just follow the three easy steps below. Some purest strongly advocate the use of whole milk for Greek style yogurt, but I've adapted this recipe using fat-free milk and assure you that it is rich and creamy. (It also doesn't have the tartness that may turn some off.) If calories and fat are not an issue for you though, feel free to use any grade of milk you like. Many have heard that most (not all) store-bought yogurt contains a friendly bacteria called acidophilus, yet few really know why it is good for us. Acidophilus keeps the intestines clean, helps eliminates bad breath and flatulence, improves the complexion and can be effective in reversing the intestinal damage caused by antibiotic treatments. 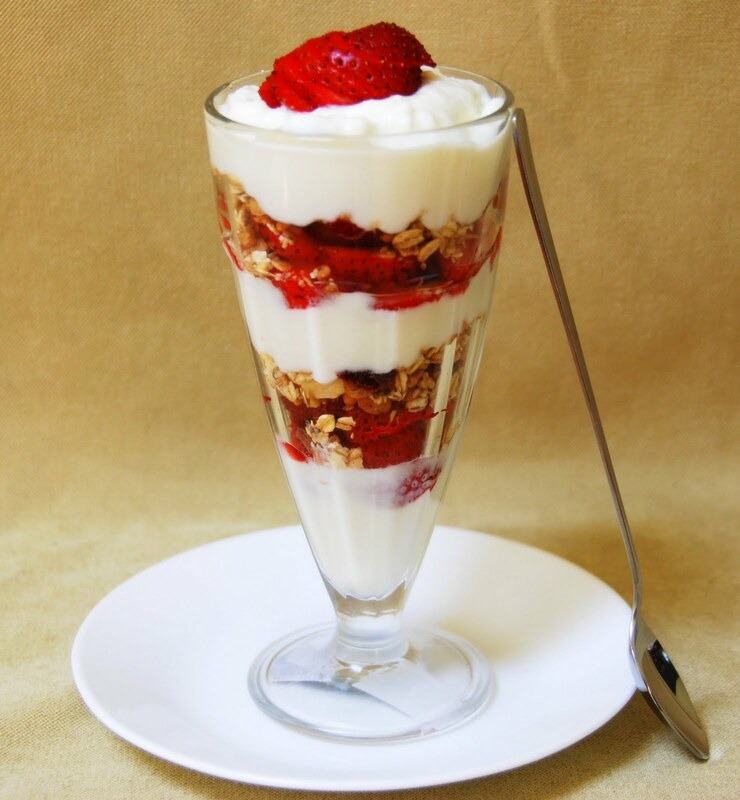 Yogurt is also great source of calcium, protein, and vitamin B. Some people with digestive problems with Lactose common in dairy products can find some relief from eating yogurt because it the process of turning milk into yogurt transforms the lactose into lactic acid. This means your body doesn't have to process the sugars in the original milk product. Personally, I've found that eating 8-12 ounces of yogurt not only aids in my digestion but helps me to lose weight. 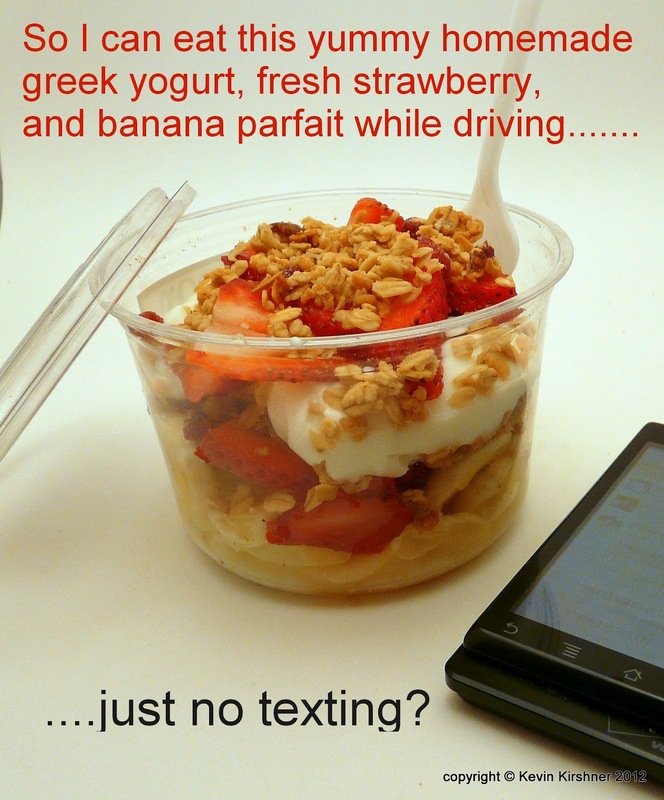 Don't try and eat all that yogurt in one sitting, however. Break it up into 2-3 servings throughout the day and it can be quite sustaining. 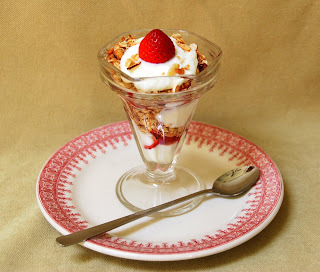 It is thick, rich, and goes well with combinations of fresh fruit, granola or other ready-to-eat cereals. There are also a number of other uses for yogurt. For instance, it can be used in salad dressings, as a substitute for sour cream on your baked potato. Play and invent on your own and if you have a tip, please do share by leaving a comment at the bottom of the blog post. Heat milk to 200-205°F – just under boiling point. (I like to heat the milk on medium-high heat.) Be sure to stir the bottom of your pot several times to prevent milk from scalding and burning on bottom of the pot. 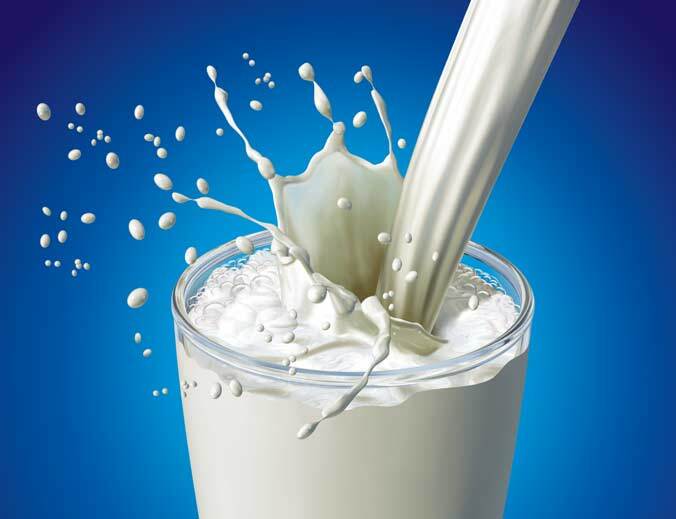 Once the milk reaches proper temperature remove immediately and transfer to a glass or ceramic bowl. While the milk is cooling, prepare the yogurt culture by taking 2 tbsp of good quality, plain, fat-free yogurt and mix with 1-2 tbsp of milk. Let this sit out at room temperature until the "cooked milk" is ready. Let the milk cool to about 104°F and pour the yogurt/milk mixture into the milk carefully without disturbing the skin that may have formed on the surface of the milk. Cover. If your bowl doesn't have a lid, any pot cover will do – or even a clean towel. Next place the bowl in a warm, draft-free place for 10 to 12 hours or overnight. I use my oven for this part, and have found the interior light when left on creates enough warmth to help grow the culture. Likewise if you cook by gas and have a gas pilot that is constantly burning this will work well too. This part is important: do *not* disturb to allow the cultures to develop and the yogurt thickens. Remove bowl from its warm spot and remove the skin on the surface of the yogurt. Traditional methods call for pouring the yogurt into a muslin or cheesecloth bag. Hang the bag over a bowl and let drain for about 2 hours or until the desired thickness is obtained. I have found that a hemp bag works best as it is much more durable and should last indefinitely. Please help support Miss Barb's Kitchen by purchasing your digital thermometer and hemp bag through our Amazon Affiliate links to the left of this blog. Good luck and, as always, please leave us a comment below and share your experience. My guess is that if you give this a try you'll be hooked. Remember: yogurt is a healthy snack for children too, one helpful way to get kids to eat well is to include them in the process of making and preparing the foods they eat. experience in the food industry. This blend of experience and expertise combined with Barbara’s out-of-the-box approach to recipe and new product development has been the catalyst for many new product concepts and new business opportunities. Her client includes some of the biggest names includes some of the biggest names in the food industry, such as Masterfoods/M&M Mars,Nabisco, Progressive International, Pizza Hut and Qualer Oats. Barbara has also consulted in the development of heart healthy menus for corporate dining, and restaurant groups. She created and opened the Healthy Eating Kafe at the Kripalu Yoga Center. Barbara’s recipes are strategically designed for targeted audiences, and varying dietary needs. Her recipes are thoughtfully created with a consciousness towards ease of preparation, the availability of good quality ingredients locally, and nutritional content. Some of her recent clients include Johnson and Johnson/McNeil Laboratories (Splenda), and Storey Communications. Barbara works with several photographers for food styling. She has an on going relationship with Black Ice Entertainment, which produces video informercials for kitchenwares and other food related clients. Barbara is a partner in a production company, Doggity's Diner Inc. She is responsible for culinary development for Doggity's, a new animated show on PBS Sprout. Doggity's features a dog who owns a restaurant. He and his canine crew share ideas about healthy eating in a fun and entertaining way. Each summer Barbara spends several weeks teaching young people about food & nutrition at Camp Medolark, in Washington ME. The success of this program has been overwhelming. Barbara teaches6 hands-on classes daily for 5 days each week full of delicious foods and healthful techniques she learned first-hand at Canyon Ranch Health Resort. At the end of each four week camp session, campers take home a cookbook of healthy recipes that they made can share with their families. Barbara holds a B.S. degree in Home Economics and Marketing from the University of Massachusetts. She is a former board member of the Massachusetts Specialty Food Association.and Healthy Food Choices.